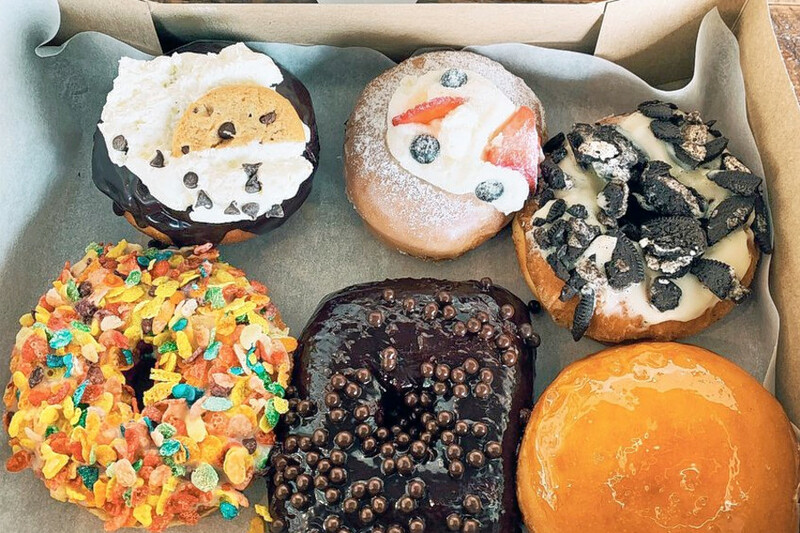 Doughnut fans, take heed: there’s a new spot in town to get your fix. Located at 856 E. Big Beaver Road, the new arrival is called Donut Bar + Coffee. Troy is the newest spot for the doughnut place; there’s also a Southfield location. Choose from a menu of homemade specialty and vegan doughnuts, doughnut shakes, ice cream, smoothies, and beverages. The selection changes every day, with different specialty flavors being offered. Stop by for any number of doughnuts such as the Fruity Pebbles, a doughnut coated in white icing and Fruity Pebbles cereal flakes; cookies and cream, which is covered in white glaze icing and crushed up bits of Oreo cookies; or the vegan coconut rum covered in icing and coconut shavings. Seeking something different? Opt for a chocolate and white swirl ice cream in a doughnut cone. Donut Bar + Coffee has gotten off to a solid start thus far, with a four-star rating out of 11 reviews on Yelp. Head on over to check it out: Donut Bar + Coffee is open from 6 a.m.–4 p.m. on weekdays and 8 a.m.–3 p.m. on weekends.